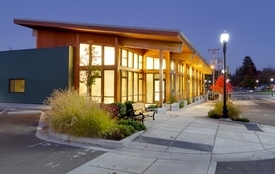 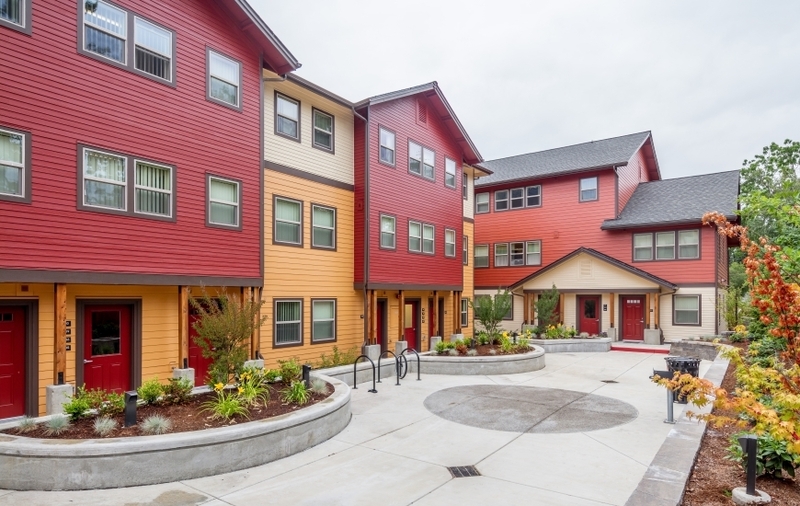 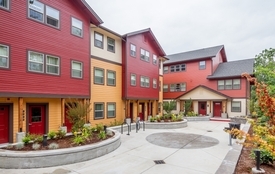 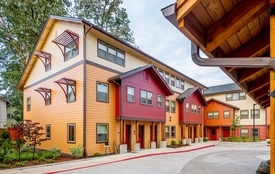 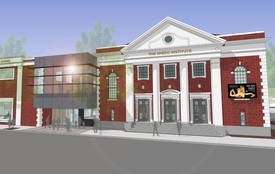 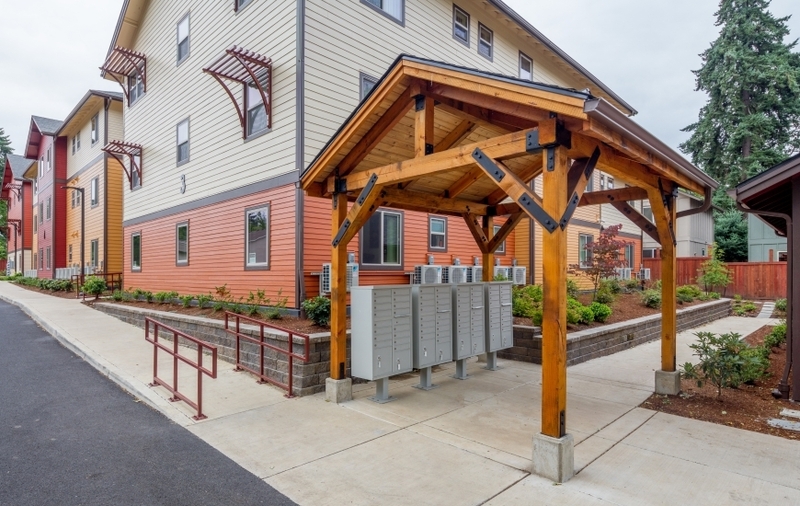 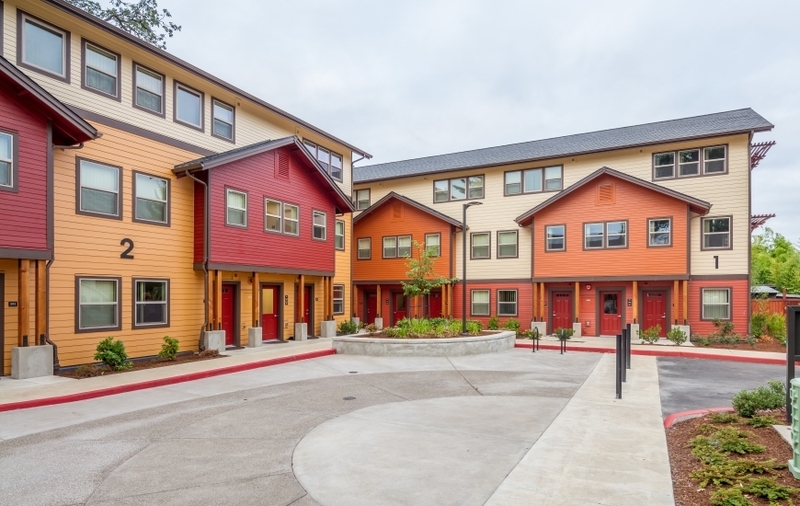 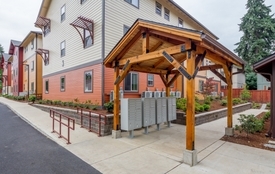 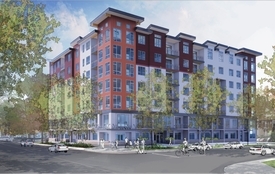 This affordable housing development for Sponsors, Inc. and includes five buildings comprised of 54 one-bedroom apartments, and one community building. 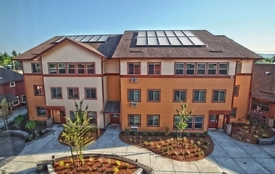 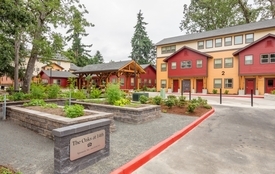 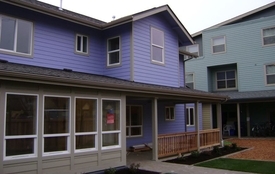 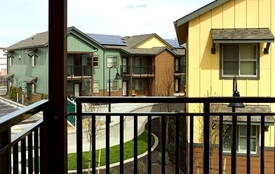 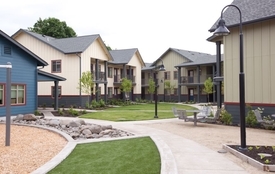 The apartments provide permanent housing for people leaving the prison system. 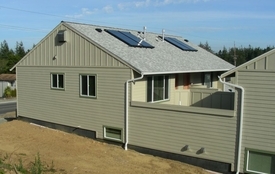 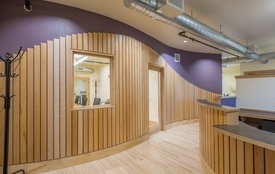 The project was designed by Bergsund DeLaney Architecture & Planning, P.C. 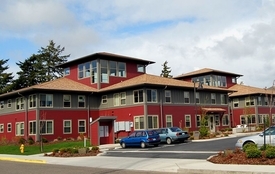 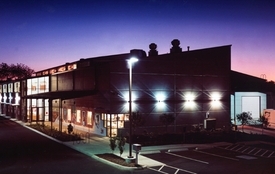 and is owned and managed by HACSA of Lane County. 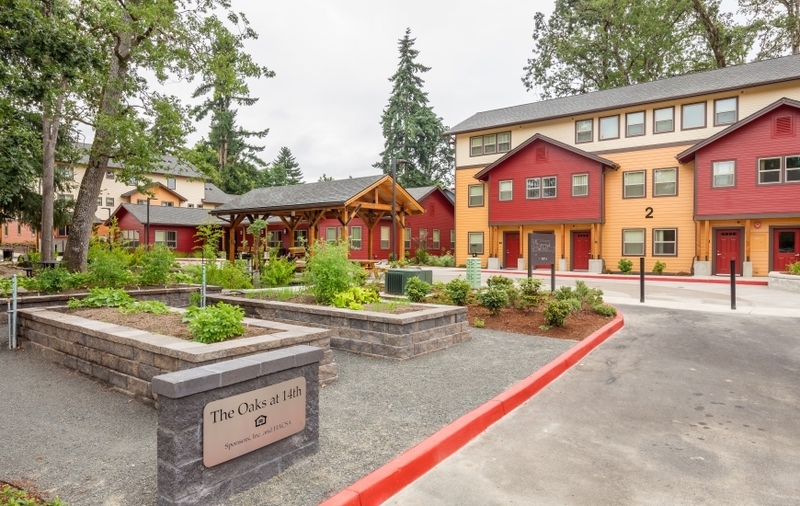 A number of large oaks and firs needed to be removed to make way for this new community. 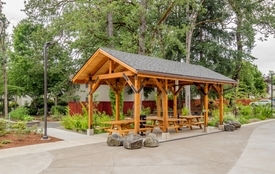 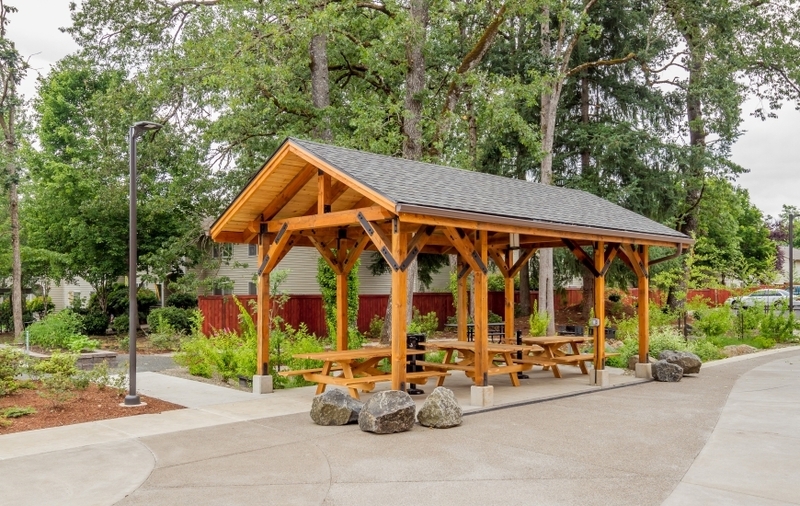 Essex volunteered to have the trees milled and built into a gazebo, picnic tables, benches, an art wall and a structure to cover the mailboxes.